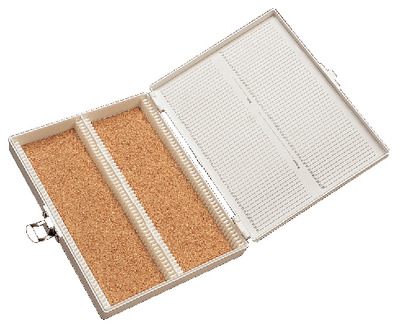 Store 100 standard slides in this two-piece polystyrene case with steel pin hinges and a steel latch. The bottom is cork lined to protect slides. The slots are numbered and correspond with an index list on lid.